Keith R. Fisher – Financial Designs Ltd.
Keith Fisher joined Financial Designs Ltd. (FDL) in 2013 and serves as Principal and advisor to high net worth families and businesses. He is responsible for new client development. 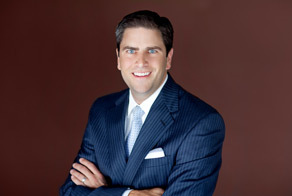 His expertise is in complex estate planning, asset protection, and executive benefit planning. Prior to joining FDL, Keith was President of Strategic Financial Partners in Denver where he was actively engaged in growing a successful financial planning practice. Keith was a bank officer and branch manager for FirstBank prior to entering the financial services industry. Keith holds a BS in economics and business administration from Whittier College. He holds the professional CRPC® designation and is also a member of the Society for Financial Services Professionals. He is active in the community and serves on the board of the Denver Philharmonic Orchestra Foundation. Keith is also a recurring guest lecturer for a Sales and Marketing course at the University of Denver. Keith and his wife, Marci, live in Littleton, Colorado with their two children. He enjoys time with his family, skiing, biking, hunting, and golfing.